The fallout from the news of TJ Dillashaw’s two-year suspension for testing positive for recombinant human erythropoietin (EP) is still going strong, and it seems everyone has an opinion on it. Former Ultimate Fighting Championship (UFC) Welterweight champion Matt Serra is no different; but to hear his rant, “The Terror” is absolutely livid at “Viper.” Speaking on the UFC Unfiltered podcast, Serra unloaded on the now-former UFC Bantamweight champion. “It’s downright disgusting. What legacy? What (expletive) legacy? We don’t know what he could have done if the playing field was even – on a level playing field,” Serra said on the podcast. “I really feel for Cody. 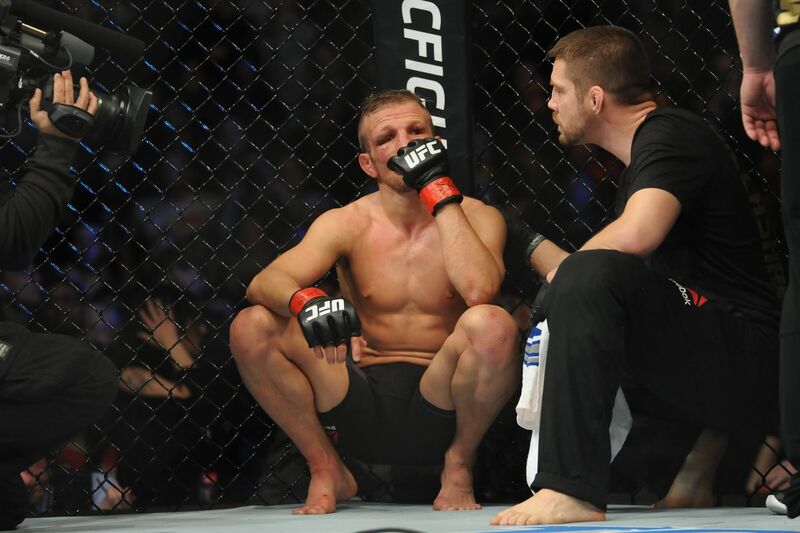 I do – because in that first fight, in the first one, he hurt (Dillashaw), too. He almost took him out. Maybe that slight edge was because he’s a (expletive) cheater. I never had a problem with that kid, and I always got along with (coach) Duane (Ludwig). But this is just foul,” said Serra as transcribed by MMA Junkie. Indeed, Cody Garbrandt suffered back-to-back knockout defeats at the hands of his former teammate, which is why “No Love” was so furious upon hearing of the news of TJ’s suspensions. That’s because Cody was adamant that Dillashaw had been doping for quite some time now. Even Conor McGregor took Cody’s side. “So (expletive) you, T.J. This is (expletive) bull(expletive). This is disgusting. I can’t say it enough. Everyone that got stopped by him should be furious and at the same time, look at yourself and go, ‘All right. Now it makes sense. Now it makes (expletive) sense (that I lost to him),;” he added. TJ will be able to resume his combat career in January of 2021 and will have a tall mountain to climb if he wants to insert himself back into the title picture and in the good graces of his colleagues, it seems.